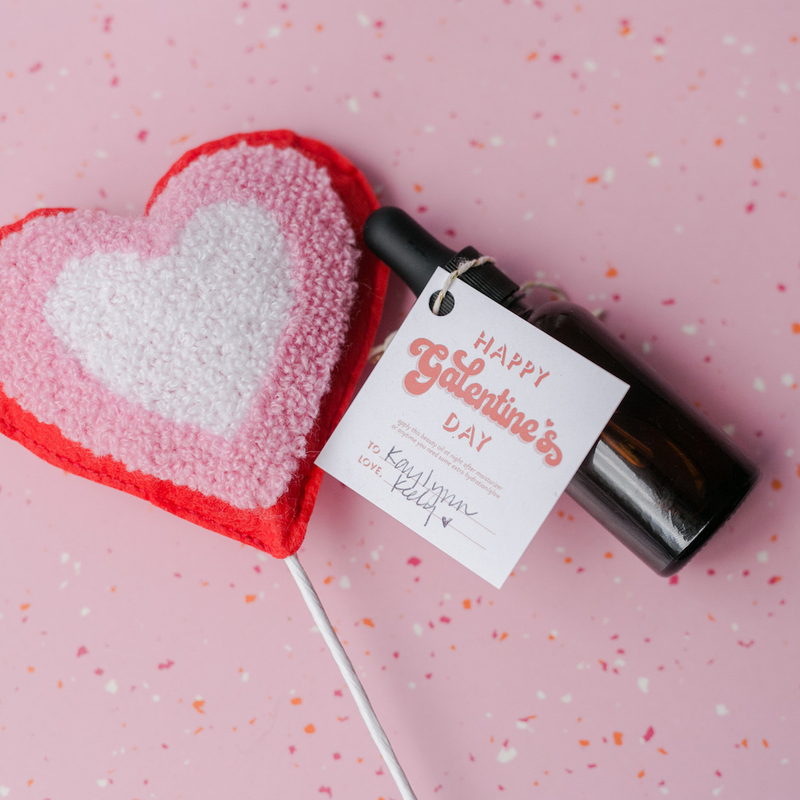 There’s nothing I love more than a Galentine, and this one is so quick and easy to whip up! If you’re unfamiliar with beauty oils, they are amazing for balancing the skin and adding vital hydration. In addition, they’re super important when you’re using essential oils in your beauty routine! Essential oils need to be diluted before using topically, and “carrying” them in oil is a great way to do that, especially with skincare. I typically use a drop or two of essential oil for every tablespoon of carrier oil. We are major advocates of facial oils at ABM and Oui Fresh because they replenish necessary oils, and also have some great benefits that are unique to each of the different carrier oils. If you’re someone with oily or combo skin that’s afraid to try, think of it this way—the more hydrated your skin is, the less it will try to overproduce oils, leaving everything more balanced. It’s definitely worth a shot if you haven’t tried it! In this particular recipe, I used three different oils: jojoba (excellent for all skin types; softens and mimics skin’s oils for balance), grapeseed (an oil with a “satin” feel, lots of vitamin C and antioxidants and helps to soothe inflammation—good for acne-prone skin as it has some clarifying qualities), and sweet almond (super hydrating and lots of vitamin E—great for all skin types and can calm irritation and itching). I used these three because they are all good for many skin types. 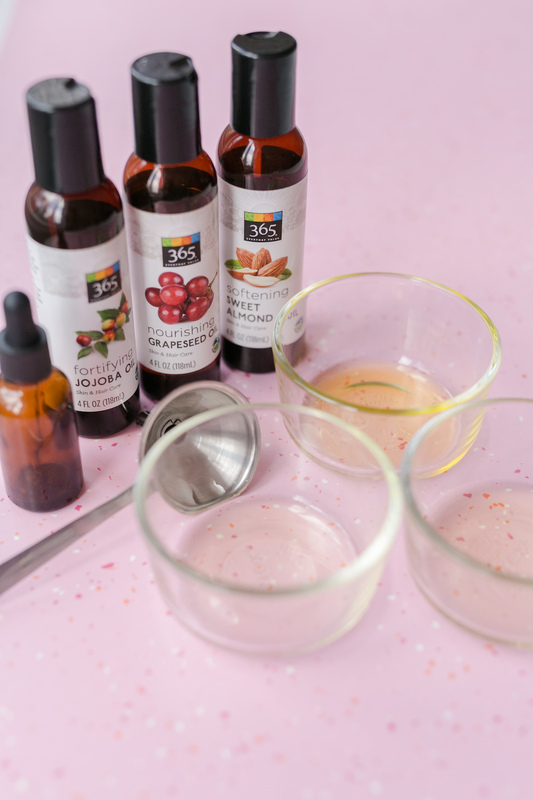 It’s a great starter oil that might give more results than just using coconut oil (though it’s also a great carrier oil that a lot of people already have on hand). I got all of these oils at Whole Foods, but they are all fairly easily accessible at health food stores and on Amazon. 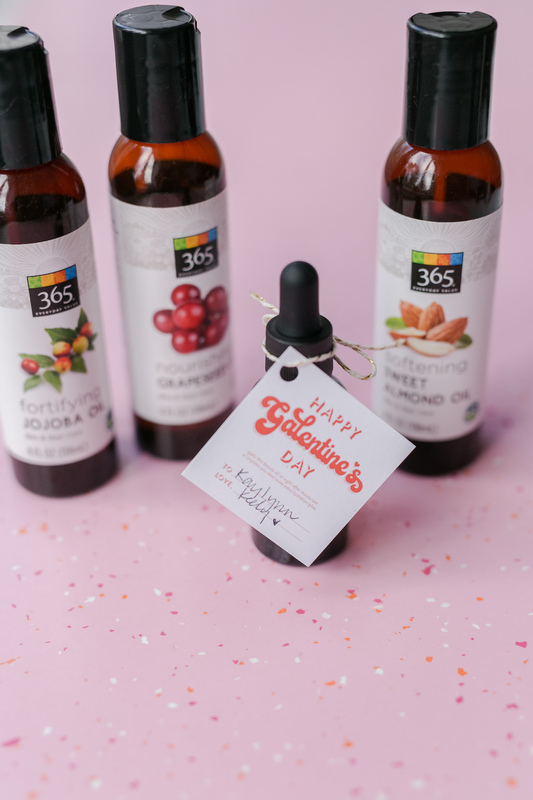 I didn’t add any essential oils to this particular beauty oil with the thought that my recipients could customize their own according to their skin needs with their preferred essential oils, and it still has great benefits without any additions. 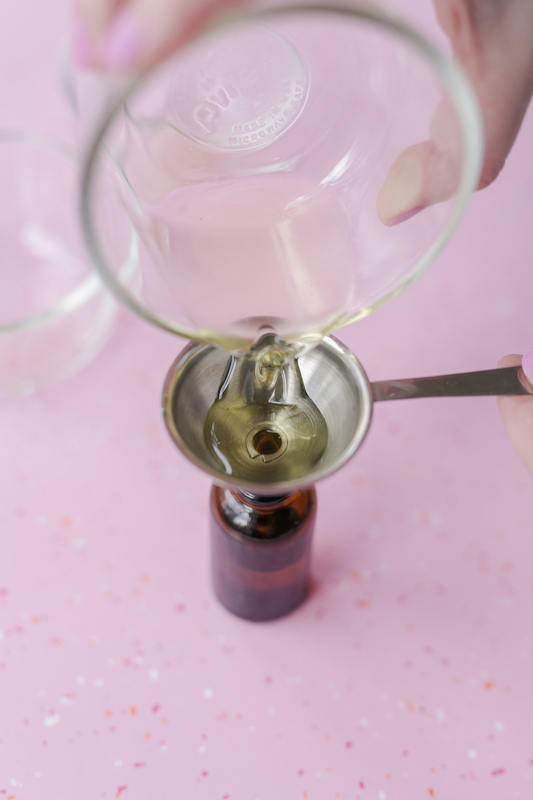 This is SO easy: all you need to do is mix your three oils together before funneling them into your dropper bottle (I got my bottles either through Amazon or at the Container Store if you only need a few). I tied on these printable tags with a little bit of pretty twine. You can download and print your own here. One has instructions, and one does not if you want to add your own—so take your pick! If you’re in a pinch and want to give a little something to your best gals, this is a great way to whip something up fast that they can get good use out of. Leslie Knope would be proud.  xo! Credits // Author: Keely Rust. Photos: Amber Ulmer. Photos edited with A Color Story Desktop.